Tzippy Avni and her three daughters. Tzippy Avni of Eilat shared the following personal story with the Jewish National Fund in honor of Jewish Disability Awareness Month, an initiative to foster inclusion in Jewish communities worldwide. 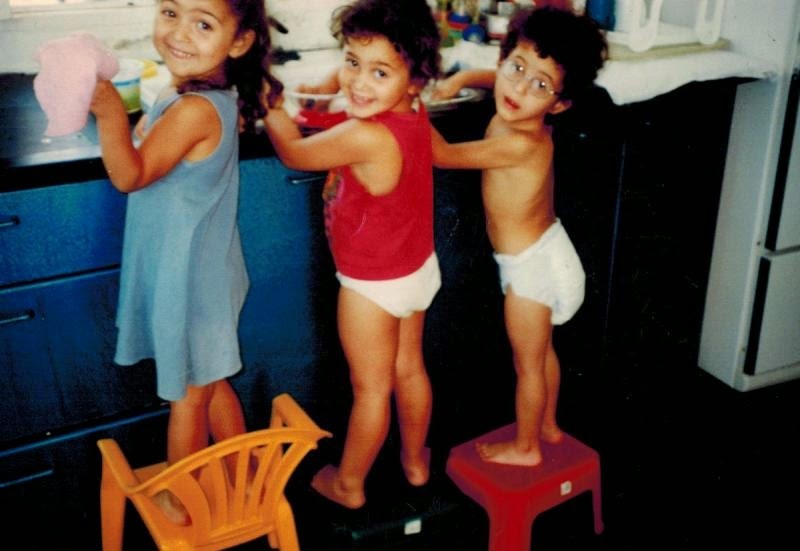 Nineteen years ago, we had a beautiful set of triplets. First May was born, and then Chen. Both weighed in at over 2 kilos (4.4 pounds), which enabled them to be released from the hospital within a few days. The last to be born was Shir, at a weight of 1.360 kilos (just under 3 pounds) that plunged to just 900 grams (less than 2 pounds) within four hours. Shir was so tiny that I would stroke her gently with my pinkie. From the first moment, I had this magnetic pull to her, a real telepathic connection. I feel her all the time, and she sees things in me that nobody else sees. It's a bond that is hard to explain. After a long period in the hospital, with innumerable tests and evaluations, they broke the news to us: "Your daughter is severely brain damaged. She has cerebral palsy and retardation. She will never walk and will be very handicapped her entire life. That’s the way it is." "'Listen well,'" I said. "'This girl will run. This girl will sing. This girl will flourish and this girl will even go to the army.' They looked at me skeptically and said, 'Don’t be too optimistic.' I replied, 'I am her mother. I have no choice but to be optimistic. Wait and see what will come of this little girl.'" As life fell into a new routine, I discovered reservoirs of strength within me that I was never aware existed. I functioned in a way that amazed even myself. All day I was with the girls, and the minute they fell asleep, I would turn the house upside down -- cleaning, ironing, vacuuming, polishing every corner. Two years ago, May and Chen finished high school and they are now serving in the same combat unit troop on the Egyptian border. They wanted to do the real thing, to be on the field, to protect the border. This is an assignment that is both physically demanding and also requires thought and analysis of intelligence information. They tell us how they can see the sea and the lights of Eilat and say to themselves, 'Our friends are probably all going out on the town now -- drinking, laughing -- and we’re watching over them and our family, our home, in the most practical possible way." As fighters in the combat force, they serve for three years, as opposed to most female soldiers, whose service lasts only two years. 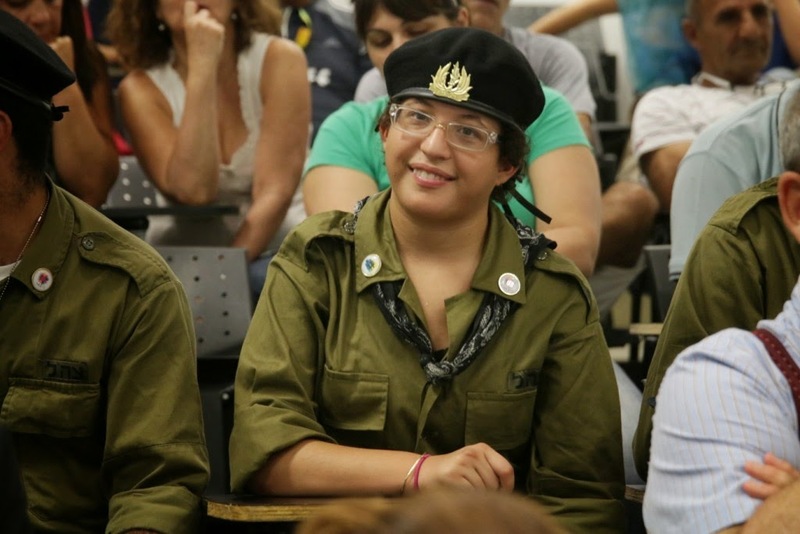 At first, they would say jokingly that they are each serving an extra year for Shir, who naturally could not enlist in the Israel Defense Forces. But for her, their departure from home was not the least bit funny. At that time came the great fall of her life. Shir, who was used to being inseparable from her two sisters ever since they were together in the womb, couldn't take the new situation, the break from May and Chen, the loneliness, the big, empty house, and the stark proof that she was different. 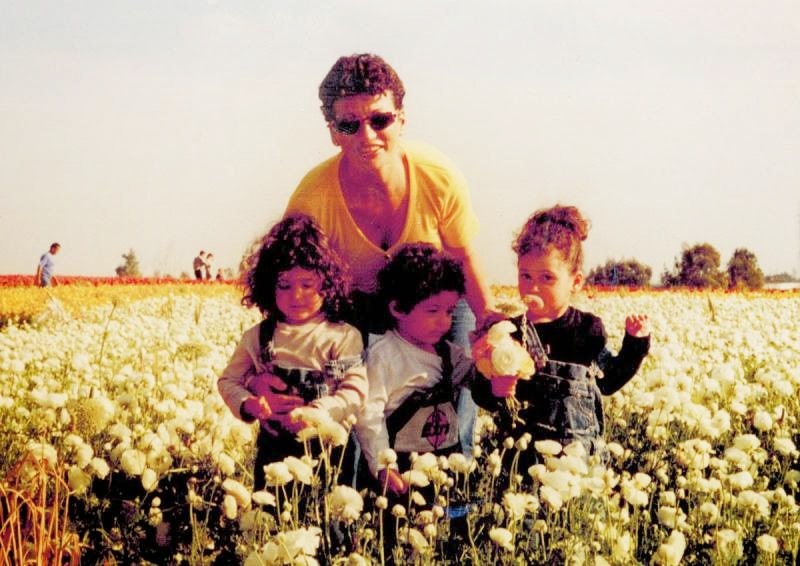 When May and Chen left home for their IDF service, Shir, used to being with her sisters at all times, experienced extreme emotional distress. She became frightened, restless, spaced out. She started tearing her hair out in anguish. She tore out each hair from the root, one after the next, until her head, once full of thick, black curls, remained bald and battered. Shir was ashamed, so she started wearing a hat or wrapping her head in a bandana most hours of the day. The moderate, steady graph of improvement in her situation that we had worked to maintain since the moment she was born crashed all at once. She experienced terrible regression and her condition kept deteriorating. Again and again she would come to me and say, "It’s so hard for me, Ima, it's so hard. Do you understand how hard it is for me?" And my heart would break. In the middle of the night, she would come to my bed and curl up with me, assailed by fears and loneliness. They are triplets; she is a part of them. I understood exactly what she was going through. This was the hardest time of our life. It was particularly tough for me, too, even though I had sworn to myself when she was a year old that I would let nothing break me. She couldn’t sit at home. Almost every night we would get into the car and drive for hours around Eilat, just to calm her down. After completing a prep course through Special in Uniform, Shir now serves proudly in Israel's navy. Eilat is far from the center of the country and there is almost no occupation here for handicapped young adults. It makes it very hard for the youth and for their families. And then we heard about the JNF-supported Yad Layeled Hameyuchad's "Special in Uniform" program, which integrates young people with disabilities into the IDF. We asked them to come to Eilat and launch a unit here, by us. They took on the challenge. Shir was one of the first ones to be accepted to the army prep course. Last summer, the big day came. Shir, together with a group of seven other boys and girls, enlisted in the navy. They are now integrated into various jobs at the base, each according to their abilities. To me, seeing them in uniform was a magical moment. Every evening, Shir comes home from the base relaxed and proud of herself. She was assigned to work in the kitchen, because they knew that she loves cooking and baking. On Fridays, she always bakes cakes and cookies with me and what she likes most is to prepare chocolate balls. There are two words she is always using -- “kef” (fun!) and bogeret (mature). They express precisely what she is experiencing. The morning following her enlistment, after covering her head for two years, Shir took off her bandana. 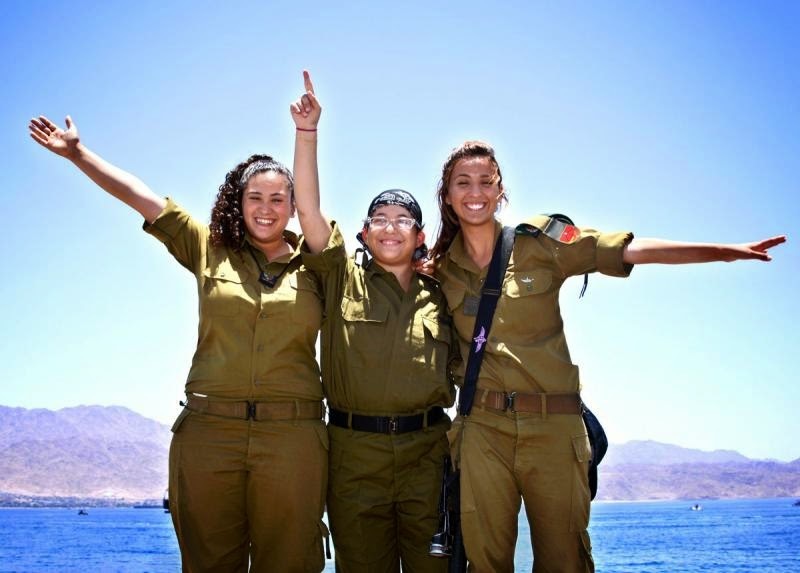 The three sisters, currently all soldiers in the Israel Defense Forces.